Extreme right: Tillie Langen (daughter of William Langen and Katie Von Arx Langen). Behind Tillie is Mary Von Arx, twin sister of Joe Von Arx. Mary is also sister to Katie Von Arx Langen. Kate Von Arx Boma is the tall woman next to Mary Von Arx. Back row: Rudy Langen, Martin Langen, Joe Von Arx and ? Al way up in back. 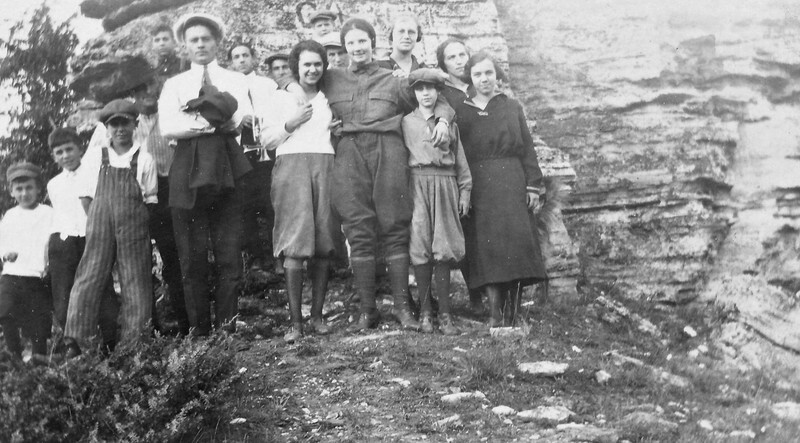 Marie Langen in white blouse, 4th from left.